Apollo Munich offers innovative and award-winning health, personal accident and travel insurance plans, with state-of-the art infrastructure and uncomplicated services, delivered by engaged employees. It is a joint venture between the Apollo Hospitals Group, one of Asia’s largest healthcare group, and Munich Health, Munich Re’s health business segment, which offers global health insurance and reinsurance excellence. 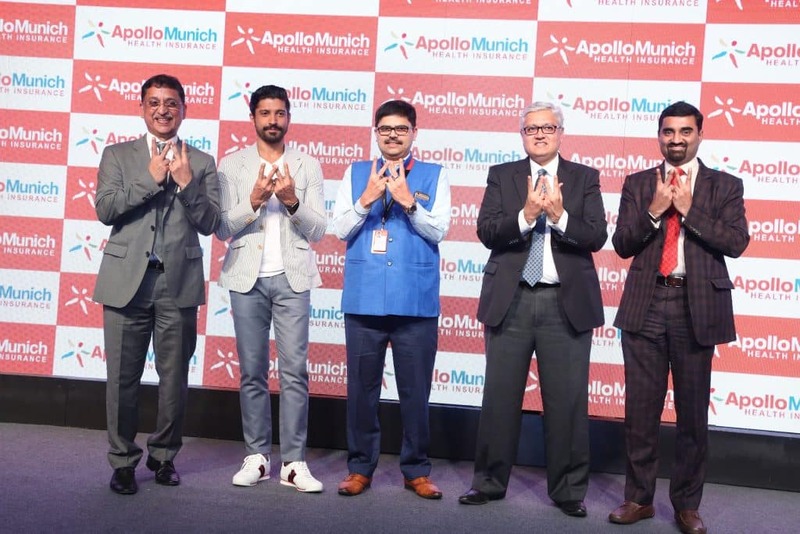 In an endeavor to offer a unique winning proposition to its customers, Apollo Munich Health Insurance (AMHI) today introduced a new category ‘WINSURE’ with its revolutionary WIN-WIN health insurance plan called ‘HEALTH WALLET’. This one-of-a-kind policy is set to redefine the health insurance category by addressing pertinent questions such as value for money, ease and great service. Health Wallet not only addresses the current needs of the customers by paying for their hospitalization and OPD expenses that are usually not covered by health insurance policies, but also ensures affordability of continuing their policy in later years. What is RESERVE benefit ? The disruptive and innovative Health Wallet plan comes with a path-breaking ’RESERVE’ benefit. True to its name, this feature creates a reserve kitty for the customers that can be used for a variety of out-of-pocket expenses such as speech therapy, purchase of medicines, vaccinations, dental expenses, diagnostic tests, spectacles, contact lenses, medical devices like blood pressure and sugar monitors, oxymeters, prosthetics, consultations with medical practioner, physiotherapist, dietician etc. That’s not all, it also allows the user with the flexibility of paying for ‘non-payable items’ that are generally excluded from any health insurance. As a unique offering, it pays for other medical expenses that are not covered under any other medical insurance such as cosmetic treatment, Alzheimer’s etc. Last but not the least, customers can even use this reserve amount to fund for co-payment and deductible cost. Day care procedures – Covers in-patient treatment and daycare medical expenses incurred for emergency treatments for an illness or injury sustained or contracted outside of India which cannot be postponed until one returns to India, provided such treatment was medically necessary and certified as an emergency by a medical practitioner.